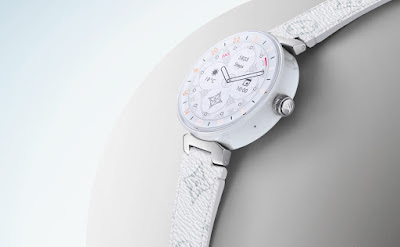 In addition to upgrading its old Tambour Horizon designs and colors with the new chipset, LV has also added a white ceramic option. Unfortunately, the luxury company hasn't revealed its availability or pricing yet, but we doubt anybody expects it to be cheap. The old version will you back at least $2,490, and this model will likely be just as eye-wateringly expensive.